Rectangles puzzles are easy to describe but the difficulty can vary from equally easy to considerably harder! 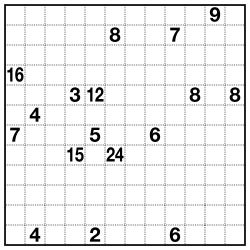 The aim is simple: draw a rectangle around each number containing the given number of cell squares. 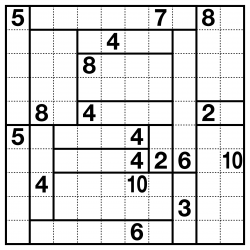 No two rectangles can overlap, and all cells must be used. 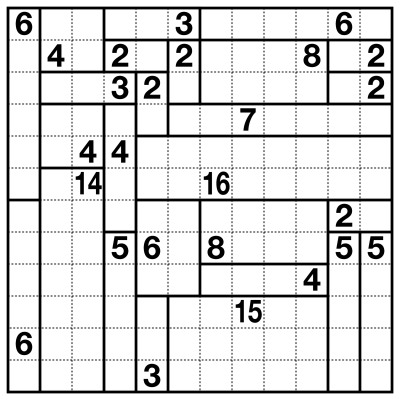 By varying the grid size and the sizes of rectangle used the complexity of the puzzle can be varied enormously.